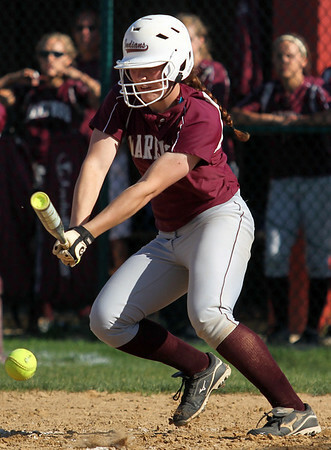 Sarah Nader - snader@shawmedia.com Marengo's Abby Kissack makes contact with the ball during the fourth inning of Monday's home game against Cary-Grove on May, 21, 2012. Marengo won, 1-0. Sarah Nader - snader@shawmedia.com Cary-Grove's Lindsay Efflandt pitched during Monday's game against Marengo on May, 21, 2012. Marengo won, 1-0. 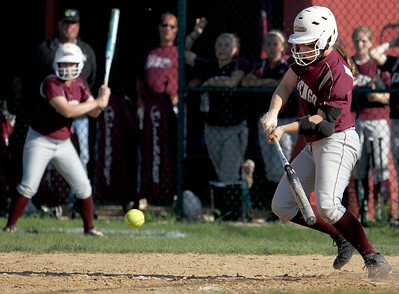 Sarah Nader - snader@shawmedia.com Marengo's Larissa Pfeiffer makes contact with the ball during the third inning of Monday's home game against Cary-Grove on May, 21, 2012. Marengo won, 1-0. Sarah Nader - snader@shawmedia.com Marengo's Reed Kartsen runs with the ball during Monday's game against Marengo on May, 21, 2012. Marengo won, 1-0. 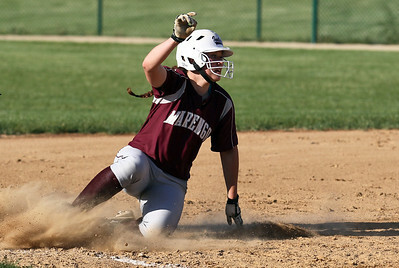 Sarah Nader - snader@shawmedia.com Marengo's Reed Kartsen slides safely into third base during the sixth inning of Monday's home game against Cary-Grove on May, 21, 2012. Marengo won, 1-0. 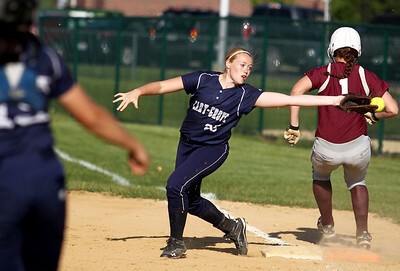 Sarah Nader - snader@shawmedia.com Marengo's Reed Kartsen (right) is safe at first after Cary-Grove's Sarah Kendeigh barely misses the ball during the sixth inning of Monday's game in Marengo on May, 21, 2012. Marengo won, 1-0. 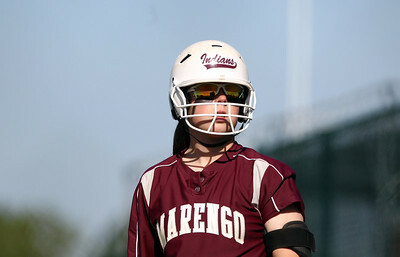 Sarah Nader - snader@shawmedia.com Marengo's Abby Kissack warms about before batting during Monday's home game against Cary-Grove on May, 21, 2012. Marengo won, 1-0. Sarah Nader - snader@shawmedia.com Marengo's Lindsay Melson pitched during Monday's home game against Cary-Grove on May, 21, 2012. Marengo won, 1-0. 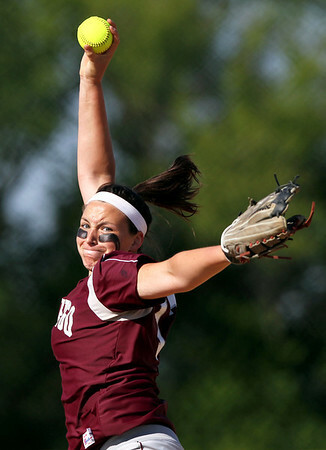 Sarah Nader - snader@shawmedia.com Marengo's Larissa Pfeiffer throws a pass during Monday's home game against Cary-Grove on May, 21, 2012. Marengo won, 1-0. 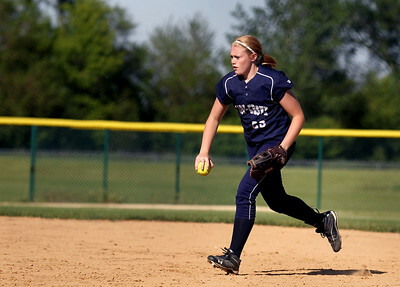 Sarah Nader - snader@shawmedia.com Marengo's Bethany Hart runs to third during Monday's home game against Cary-Grove on May, 21, 2012. Marengo won, 1-0. 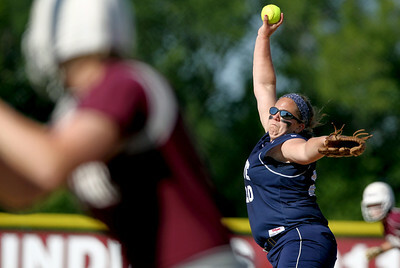 Cary-Grove's Lindsay Efflandt pitched during Monday's game against Marengo on May, 21, 2012. Marengo won, 1-0.